Details 2015 Acura ILX Dynamic w/Navi Package. 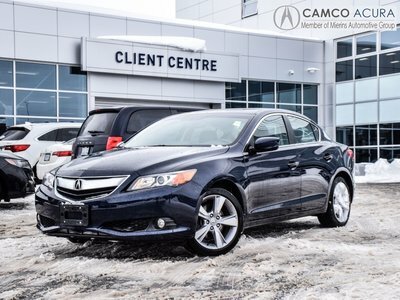 Extra low km 2015 ILX Dynamic in a rare and very sleeper Fathom Blue Pearl finish. If you're looking for a manual transmission vehicle that is practical and fun, look no further. The Dynamic model comes FULLY LOADED with leather, heated seats, moonroof, navigation and much more! Call us at 1.855.286.2983 or email at sales@camcoacura.com to book your test drive.